Are you looking for the ultimate gadget that will change your life forever? Well look no further, because we've found it! This Connector: Stylus/Pen/Charger won't solve world hunger and pay your taxes, but aside from that it can do just about everything. There's never been a more hi-tech pen than the Connector, it's the ultimate gadget for creative types and smartphone addicts, because of its awesome three-in-one function! You can use this pen as stylus for your tablet or your touch screen phone, but if you twist the end of the Connector, a nib will pop out and you can use it as a normal pen, cool right? The real ace up the connector's sleeve is its built in charging cable, which allows you to charge your tablet or smartphone without the use of mains power. The charging function is universally-compatible, and the connector itself is charged by plugging it into your computer USB port; really simple and endlessly useful! Thanks to its super slim design it also fits easily into your pocket, so it's always on hand and ready for action when you need it! You're probably thinking this amazing piece of tech will set you back a few bob, but, you'd be wrong! This hi-tech pen will cost you just £9.99! An absolute bargain, when you consider it can do just about anything! What you waiting for? Click here to purchase your very own Connector Pen, and make your life a whole lot easier! Win a UFO Space Messenger! This UFO Space Messenger is the perfect way to write messages in the sky! Just type the message you want to display on the controller and watch with excitement as the RC UFO rockets up in the sky, displaying your witty message in the coolest way possible. 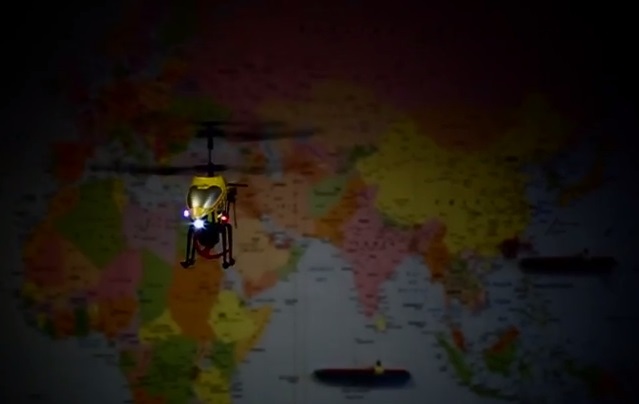 The UFO Space Messenger is really easy to fly and it allows you to change your message whilst you're in the air. By now, you must be wondering how you can get your hands on one. The good news is that you might just be able to win one in our latest competition; we've once again teamed up with Hyper Recruitment Solutions on Twitter, and we'll be giving away a UFO Space Messenger to one lucky winner on the 29th of September 2015! Sit back and cross your fingers - the winner will be announced on Friday the 18th! get your entry in before then! Click here to see more of the UFO Space Messenger! Can't Find the Bottle Opener? Here's what you need...a wall-mounted bottle opener! We've all been there: you're at somebody's house, enjoying some good company, and you decide to crack open a beer. "Anybody got a bottle opener?" Your simple request is met by naught but silence, until the host eventually says something vague like, "Oh, I think there's one in the drawer. I'll go and have a look." With that, they leave the room, and you don't see them again for the rest of the night. No bottle opener ever materialises, and your thirst goes unquenched for the remainder of the evening. If only every house had a wall-mounted bottle opener! That search for the (possibly non-existant) opener or corkscrew would never have to happen - everybody would know the location of their own bottle opener, and that location would never change. Obviously, we've no way of forcing everyone to install a bottle-opening station in their home, but you can start today. Add a wall-mounted bottle opener to your living room today, and encourage your friends to do the same! 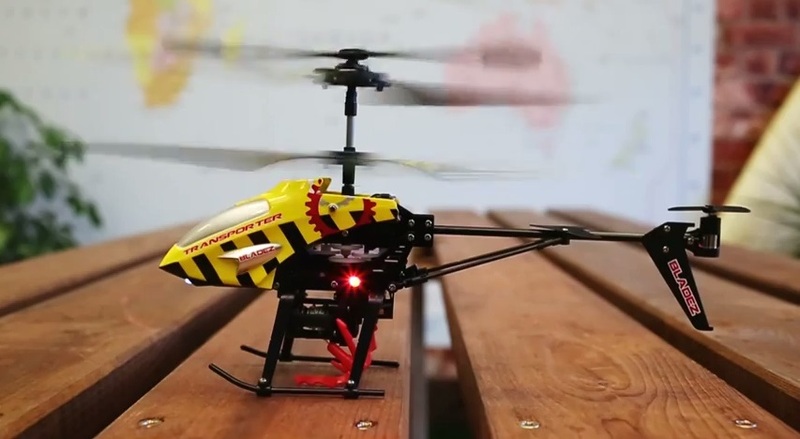 We're currently having a massive sale on all of our remote control products, and so we thought we'd take a closer look at some of the awe-inspiring RC products that are currently going for a song. Today, our spotlight falls on the Bladez Transporter, a wicked little chopper that looks like a hornet and handles like a dream. Still, the eye-catching design and the super-stable gyro controls are not the things that set the Transporter apart. That would be the adjustable electronic winch, which can be raised and lowered at the push of a button. The helicopter also comes with an attachable transport basket, capable of carrying ten grams at a time. 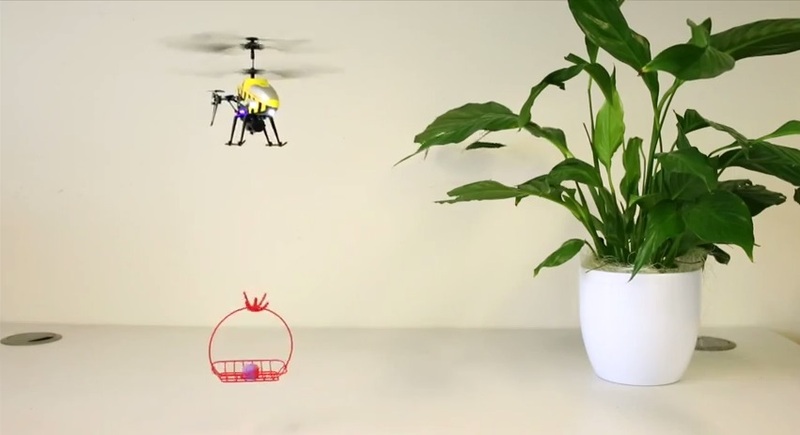 This means that you can ship small loads of sweets and treats across the room using your RC helicopter. The adjustable winch even allows you to deliver the cargo and detach the basket smoothly - it's great fun, and those rock-steady controls ensure that you don't have to be an ace pilot to pull it off! Oh, and did we mention the awesome LED lights? That's right - the Bladez Transporter lights up, allowing you to undertake epic after-dark missions and daring midnight deliveries! And now to the price. The Bladez Transporter usually costs £34.99, but as we've already mentioned, we're slap-bang in the middle of a great big RC sale here at Gadget Inspector right now. If you're good with numbers, you've already figured this out - the Transporter is currently available for just £25.99. That's a saving of nine whole pounds! The summer holidays are almost here, and we're sure that you'll be needing a few things to keep the kids occupied once school's out. 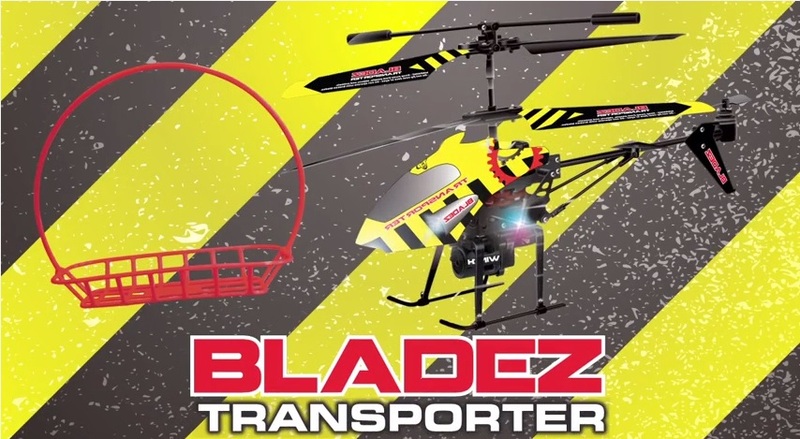 The Bladez Transporter is a great way for kids and adults alike to pass the day - can you master that winch? Starting to stress about the Christmas shopping for family and friends? We have another few great Christmas gifts for you to consider to add to your gift ideas list! The Camera Lens Cup is is essential for any photography lovers! Who ever is lucky enough to receive this as a gift can enjoy their favourite beverage, hot or cold in this cup! You can even use the lid as a handy biscuit holder, this has to be the best cup ever? If you love this awesome cup, you are going to love the Lens Shot Glass. Another great gift for any photography lovers, especially if they love coffee. Enjoy an espresso or shot of an alcoholic beverage in one of these camera lens shot glasses. Whether you are looking for possible Christmas stocking fillers, or general gift ideas these are must haves!